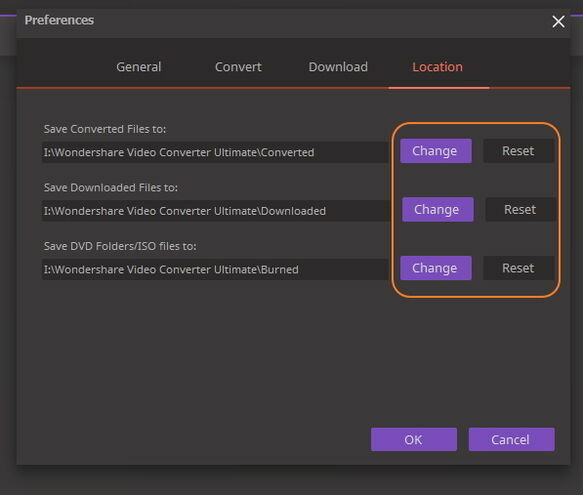 In order to let you know how to use Wondershare UniConverter (originally Wondershare Video Converter Ultimate) in seconds, here we list the general steps to convert media files. 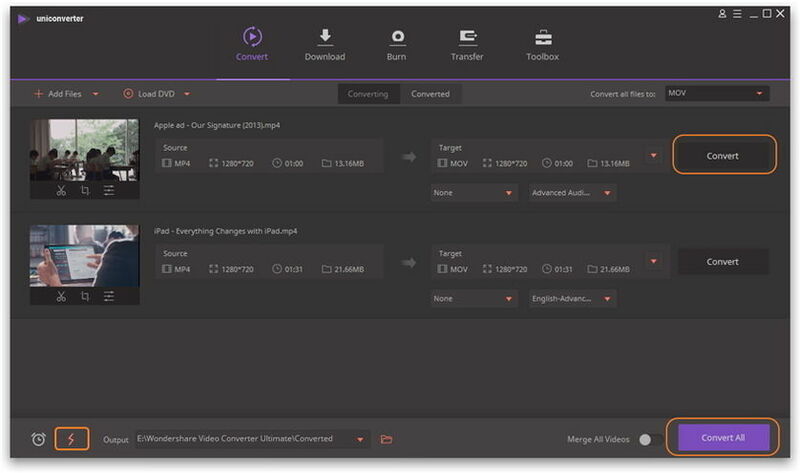 Before the steps, you need to install and launch Wondershare UniConverter on your computer firstly. Step 1 Add the media files. 1. Click the drop-down icon to enter the drop down list of the output format. 3. Select the output format for the files, for example MOV. Step 3 Edit the media files (optional). If you want to edit a file before the conversion, you can click one of the three buttons listed as below to edit your videos. Step 4 Convert the media files. Finally, click the Convert All button in the bottom-right corner to start processing the files. 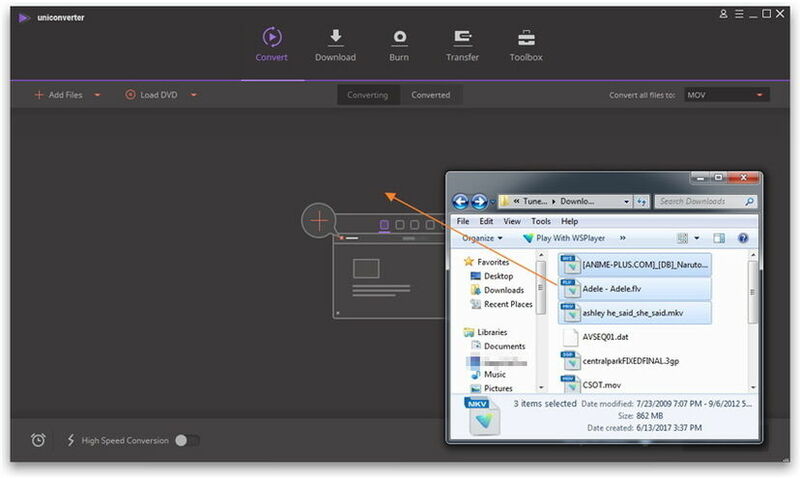 Or you can click the Convert button at the right of the video to convert the related files one by one. 1. 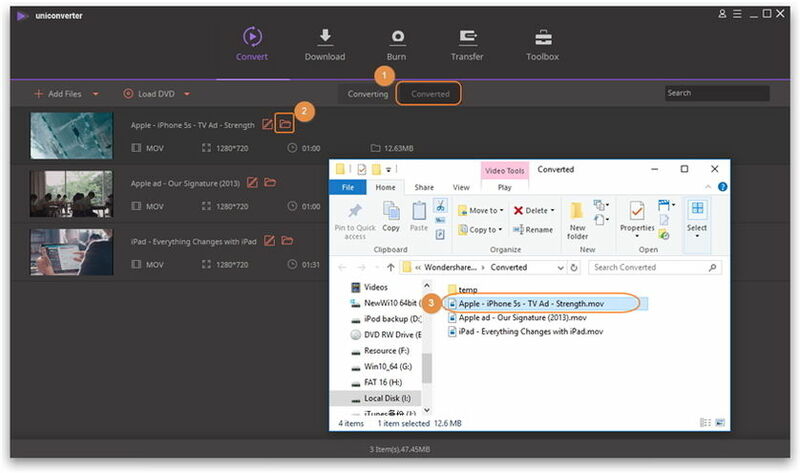 After the conversion completes, find the converted files in the Converted tab.